I'm catching up after begin gone for the weekend. 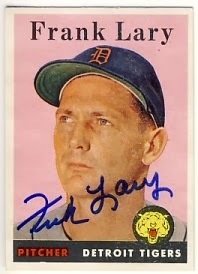 On Friday, I received a return from Frank Lary that I sent out last October. He was kind enough to sign a 1956 and 1958 Topps. I bought a little over 50 cards on eBay a while ago. I hope to start sending them out this weekend. 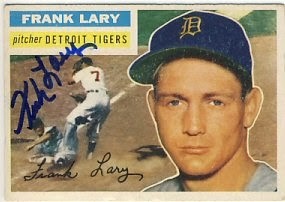 Another 1962 Topps return. 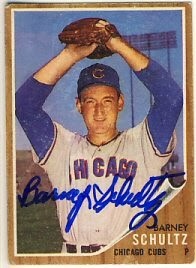 This time, Barney Schultz signed his card for me in a little less than a month. I just have two more outstanding requests from the batch I sent out in January. I think I"ll head over to the card show in Bloomington on Saturday to see if I can find some more cards to send out.